Wisdom teeth, also referred to as third molars, are molars at the back of the mouth that don’t have enough room to emerge or develop normally. They are below the surface of the gums and usually come in around the time a person is anywhere from 17 to 25 years old. Unfortunately, most people do not have enough room in their mouths to properly accommodate the large third molars that are pushing their way up and out of the gums. Because of this, it’s not uncommon for the wisdom teeth to become impacted, where they are essentially unable to come up because of a spacing issue. Wisdom tooth removal is necessary for a variety of reasons. For one, wisdom teeth that don’t have enough space to come into the mouth will eventually give the person problems that could involve infections and cracked tooth roots of surrounding teeth. Wisdom teeth that do eventually make their way up can become partially erupted, allowing bacteria to get into the skin and cause infection and inflammation. Who is a good candidate to have Wisdom Teeth removed? You have red, swollen, tender, or bleeding gums. You experience persistent bad breath, or an unpleasant taste in your mouth. What happens during a Wisdom Teeth removal? Because the removal of wisdom teeth is a surgical procedure, there will be sedation involved. Because of this reason it is extremely important to have someone come to your appointment with you and drive you home. You will not be able to drive or lift anything heavy until the effects of the medication have completely worn off, which usually occurs hours after the procedure. You will need to have someone help you change out your gauze as well. During the procedure the dentist will make an incision into your gum tissue to reach the impacted tooth. The tooth will be removed, and the extraction site will be cleaned and sutured. You will receive after care instructions that must be followed otherwise you risk getting a severe infection. 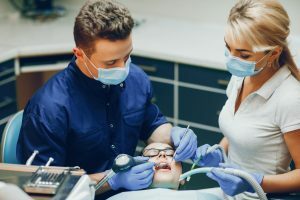 The dentist will recommend you stay in the office for a short time after the procedure to monitor you, as well as let the sedation wear off a little. Once you are given the okay from the dentist, you can be driven home, and a follow up appointment will occur to check on the incision site. If you are in need of wisdom tooth removal, or would like to inquire more about the procedure, contact us today and a helpful staff member will be happy to assist you!